Happy birthday to the best coach of all time, who has never had a losing record. Tennessee: 1005–193 † Also won SEC Tournament Championship. # Also won SEC Regular Season Championship. 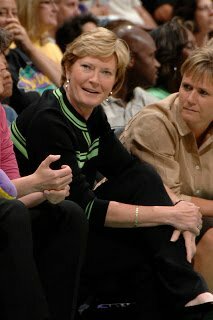 Have fun today, Coach Summitt.